The portable Intex PureSpa Bubble Massage Spa allows you to pamper yourself in relaxing, heated water surrounded by soothing bubble jets. 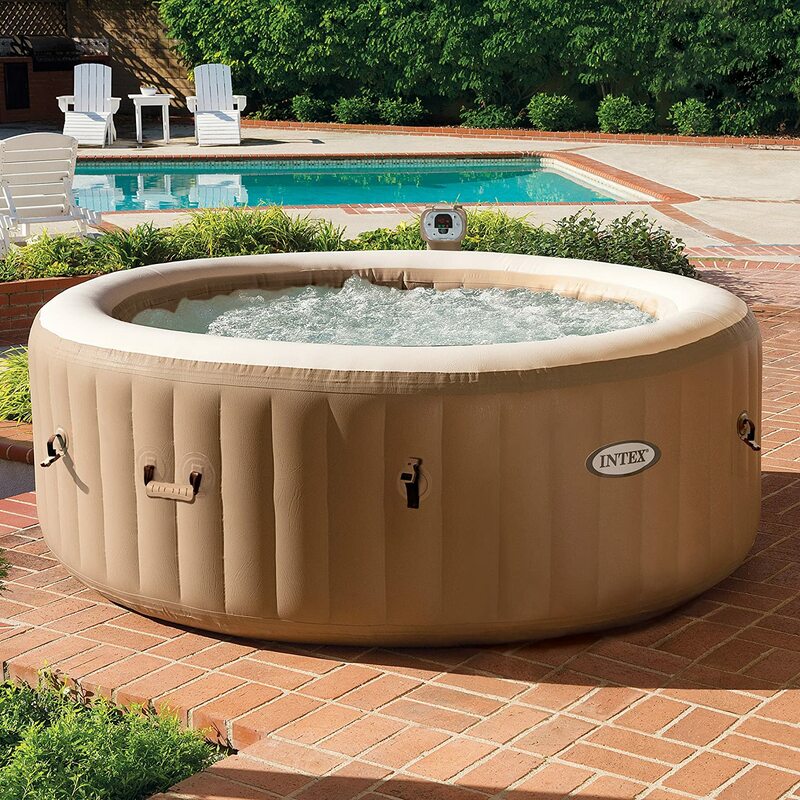 The easy-to-use control panel on this garden hot tub activates the 120 high-powered bubble jets surrounding the interior of the spa for a refreshing massage. The heating system adjusts to fit your personal temperature preference allowing a stress-free spa experience. The Fiber-Tech Construction and the puncture-resistant three-ply laminated material provide the ultimate comfort, support and durability. The Intex PureSpa Bubble Massage Spa provides simple maintenance with two easy-to-replace filter cartridges for lasting enjoyment for up to four people. A carry bag is provided for easy storage and transport.